The number of households designated as statutory homeless rose by over 30 per cent during the five-year period of the Housing Executive’s homelessness strategy, a report by the Comptroller and Auditor General has found. A report by the Head of the Northern Ireland Audit Office, Kieran Donnelly, examining the scale and nature of homelessness and the strategies and measures in place to address it has highlighted that the aim of reducing homelessness over the course of the Homelessness Strategy 2012-17 had “limited success”. The strategy was endorsed and monitored by the Department for Communities (DfC). In 2016-17 alone nearly 12,000 households were accepted as homeless. However, rather than those sleeping rough, the majority of people in Northern Ireland living through homelessness are staying with friends or relatives; in temporary accommodation; or in properties that are not suitable for their needs. Northern Ireland has the highest statutory homeless rate in the whole of the UK and Donnelly states that reasons given by the NIHE and the Department for the “disproportionately higher” level to other UK regions “are not supported by evidence”. Pointing out that the NIHE has attempted to address homelessness “almost exclusively” through providing social rented homes (close to 80 per cent of social homes becoming available in Northern Ireland are allocated to households designated as statutory homeless), Donnelly welcomed moves towards a fundamental review of social housing allocation policy. “The practice of allocating a high proportion of available social homes to those declared under the wide category of statutory homeless carries risks. It can create an incentive for households who desire, rather than need to move from one house to another, to declare themselves statutory homeless. Donnelly estimates that in the last five years homelessness has cost the public purse £300 million, £62 million of which was spent in 2016-17. Of the £62 million over 70 per cent was spent on temporary accommodation services (including housing benefit). This figure does not include wider public sector costs such as increased use of the health service and interaction with the criminal justice system. 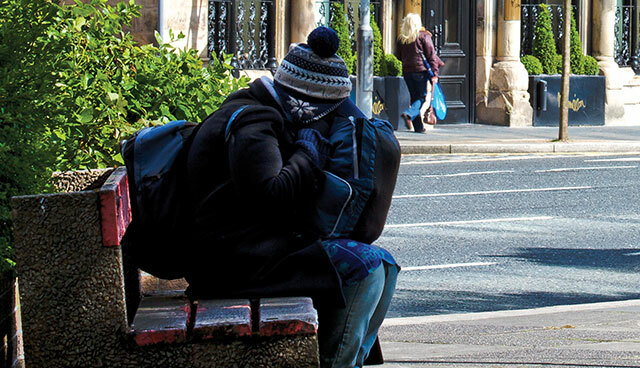 Although commending the work of frontline service providers to homelessness in both the NIHE and the third sector, and acknowledging evidence of considerable joined-up working across the public and third sector, Donnelly highlights that the NIHE has “been unable to fully demonstrate the impact of its work in reducing homelessness”. Adding that more needs to be done to break down silos to ensure that tackling homelessness is a strategic priority for the Northern Ireland Executive as a whole. Donnelly found little first-hand evidence or published statistics to show how many households had been prevented from becoming homeless and pointed out that the NIHE was “slow” to adopt a preventative approach rolled out across England which evidently led to a significant decrease in statutory homeless. He recommends greater innovation in the NIHE’s approach to collection, analysis and interpretation of homelessness data. The Department should also expand the statistical datasets it publishes, to improve accountability and transparency. 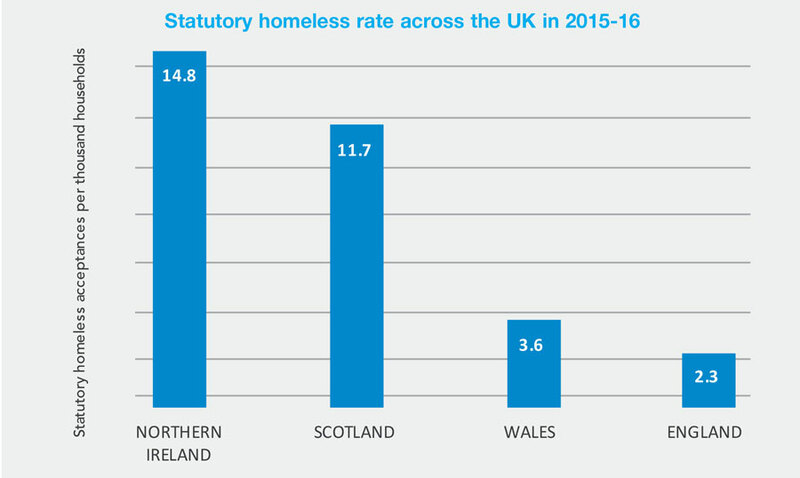 Source: NIAO: Homelessness in Northern Ireland.